This is Bill Hale of Colesville. He's a lawyer by trade, but he's spent this week - the hottest week of the year so far! 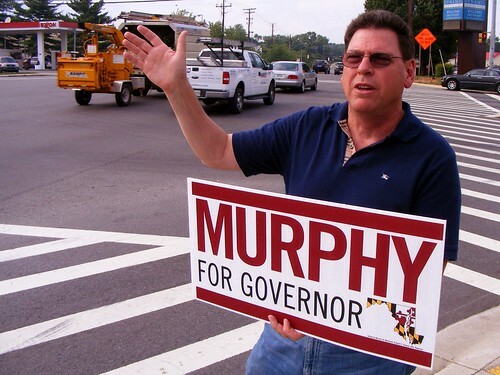 - at the corner of New Hampshire Avenue and East Randolph Road, waving a sign for gubernatorial candidate Brian Murphy. Most people you see at this intersection are panhandlers, so naturally I pulled over and took a picture of him. Bill's very friendly. The sign is for Brian Murphy, he says, who's running for governor. My son and I met him at a meeting of our group, the Maryland Society of Patriots. Bill hands me a card with a picture of a snake draped in the American flag. Brian Murphy's pro-traditional families, anti-immigration, and he respects the sanctity of life, Bill explains. And we said, Shoot. Bob Ehrlich's pro-gay, he's pro-abortion, and he hasn't said anything about illegal immigration. We'll take this guy. Where's this guy from? I ask. He's pro-business, too, Bill continues. 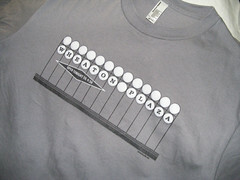 A Wharton grad. You ever heard of Smith Island Baking Company? Bill asks. Brian Murphy co-founded it. Brian Murphy with a box of yummy Smith Island cake. If you haven't tried it before, Smith Island cake is the state's official dessert, named for a place so isolated that its residents have their own dialect. The cake is made with nine very thin layers baked individually and slathered with frosting. It is very good. In fact, it is the best cake you will ever eat. I'm conflicted now. I have eaten Brian Murphy's cake. It's the kind of food that would make you vote for someone. On the other hand, my boyfriend doesn't like cake very much. I went home and I looked at Brian Murphy's website. There, he's presented as a candidate anyone would like. His platform? Job creation. Lowering the cost of health care. 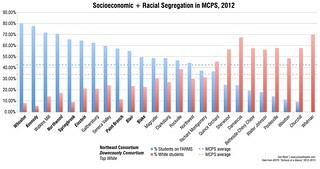 Improving education for low-income students. Preserving the Chesapeake Bay. Energy independence. I can't imagine a candidate - liberal or conservative - in the state of Maryland who wouldn't campaign on those five issues, though perhaps with different solutions for each one. He's got a lovely family - a wife and four young children. There isn't much mention of them living in Chevy Chase, but a lengthy bio on his website says that they "[worships] at Fourth Presbyterian Church in Bethesda." He even bears an uncanny resemblance to Will Forte on Saturday Night Live. Over the past few nights . . . we campaigned for Brian Murphy, the only real Conservative running for Governor, and for M.S.O.P. At each locale, we were nervous about walking into a group of strangers, and we wondered how we’d be received, because none of us are career politicians, nor do we want to be–and because the Republican “insiders” have already decided to support Ehrlich before the voters get the chance to give their opinion on Primary Day. But, just like our Moms always told us to do, we smiled, said “Hi”, and shook hands with everybody we could reach–and we were warmly received at each spot. Kill 'em with kindness, as they say. One thing I like about East County is its diversity: different ethnicities, different religions, different walks of life, and different political beliefs, too - and that we all seem to get along. At least, most of the time. My wife and I visited Smith Island for the first time two weeks ago. We shared a piece of 9-layer Oreo cake, and it was the best cake that I've ever had. People mentioned that we would hear a unique accent on the island, although I thought it sounded a lot like Baltimore. Maybe I ran into a few transplants. 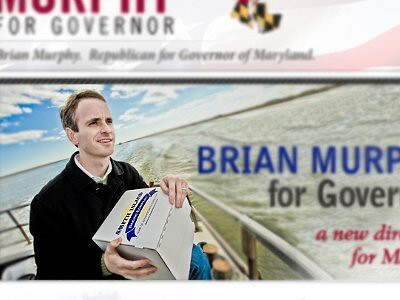 We saw our first Brian Murphy sign on the Eastern Shore during this trip, and now there are a few starting to pop-up here in Bowie. There are always those voters who are looking for someone who is honest, offers ideas and plans instead of generalities and are not part of the status quo. Is there someone other than Dan posting here now? The writing style seems a little different.